As billions of standalone devices across the world are getting connected, the Internet of Things (IoT) has become one of the most talked about technology trends. But IoT is not really about technology and connected devices. At its core it is about business outcomes and people; it is about new ways of doing business, talent and change management; it is about migration to open technologies and open business structures based on co-development and ecosystems of partnerships; it is a multi-year, multi-phase journey. So how do you get started? How do you implement IoT to transform your business, adopt new business models and grow new revenue streams? This book will answer all of these questions, and more. 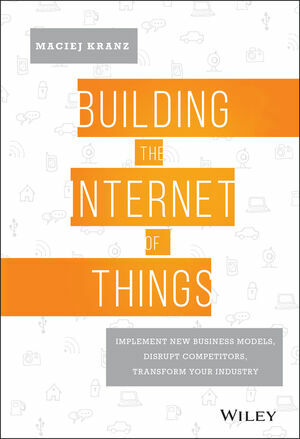 Building the Internet of Things shows you how to turn disruption into profits and long-term business success.